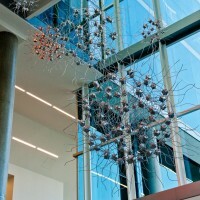 Los Angeles-based artist Cliff Garten has completed NeuroStar, a sculpture he was commissioned to create for the Molecular Biotechnology Building at the University of Utah in Salt Lake City. 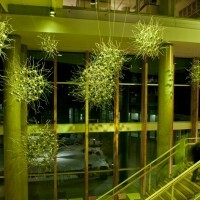 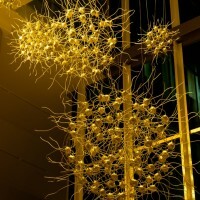 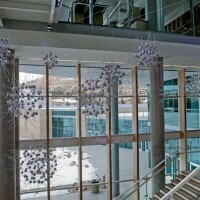 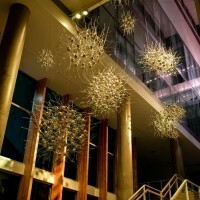 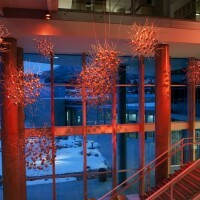 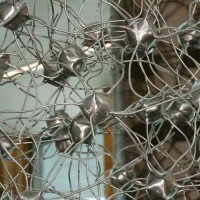 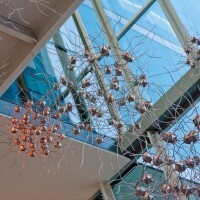 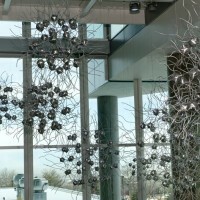 NeuroStar is a sculptural ensemble whose forms are derived from Cliff Garten’s interpretation of the research conducted within the James L. Sorenson Molecular Biotechnology Building at the University of Utah. 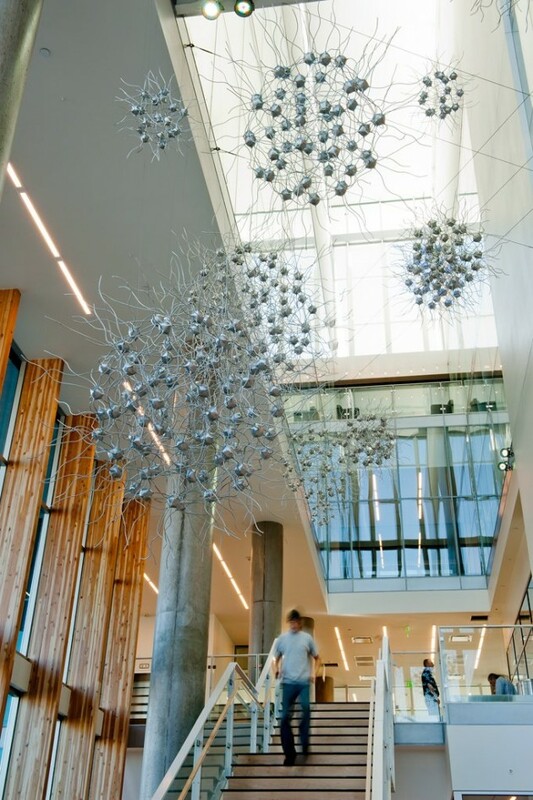 NeuroStar imagines that the fine-grained scale of scientific research can become geologic in scale – so that faculty and students interact with the structures they research everyday as they move through the atrium. 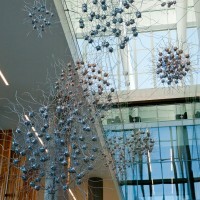 The sculptures intend to make the structures of neurosciences and bio-engineering physically palpable and to engage, activate, and compliment the architecture of the Sorenson Building. 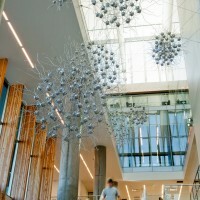 Intuitively, the suite of suspended elements reflects the elegance of scientifically structured space, such as the connection and communication of neurons. 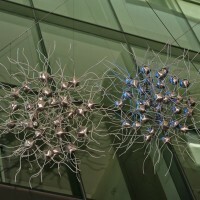 The dynamism of the sculptures resides in the illumination of the disbursed Neurostars by LED lighting at dusk and night and by sunlight during the day. 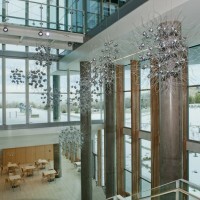 The full spectrum LED lights conform to the LEED certification for the building, and are programmed to slowly change through subtle hues of color.